By now, if you are reading this blog post, there is a good chance that you have at least heard of the revolutionary Invisalign® orthodontic system. 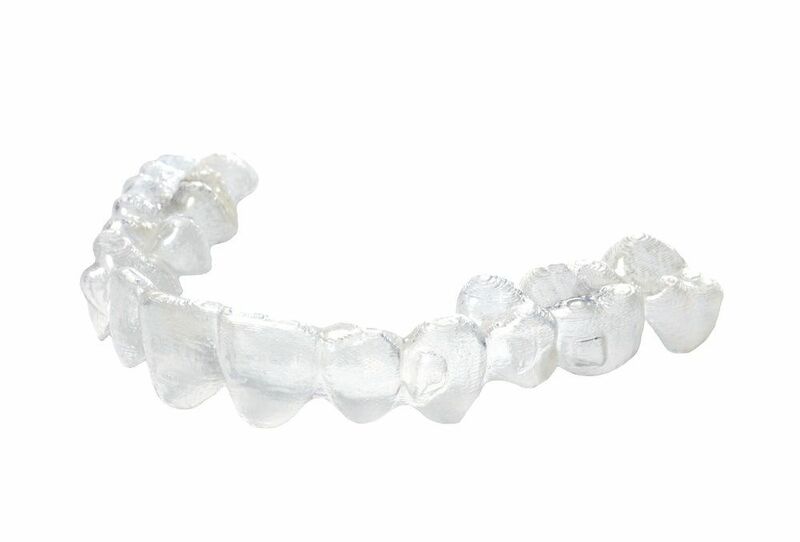 Each year, tens of thousands of people discover for themselves just how effective, comfortable, and cosmetically appealing these virtually invisible alternatives to conventional metal braces truly are. The fact that they are so discreet and subtle, especially compared to the conspicuous wires and brackets associated with traditional braces, has long been the biggest selling point of Invisalign® and the reason why the treatment appeals to so many appearance-conscious teens and adults. While it is true that their aesthetic appeal is a tremendous benefit, it is far from the only benefit that Invisalign® aligners have to offer. Cosmetic dentist Jean E. Barthman discusses Invisalign® benefits in detail during consultations at her Redwood City, CA dental practice so that qualified candidates know precisely why the treatment is best suited to their particular cases. Could you potentially benefit from Invisalign®? To find out, we invite you to meet with Dr. Barthman at her state-of-the-art cosmetic dentistry office at your earliest convenience. First, it should be noted that, for suitable candidates, Invisalign® offers all of the benefits associated with traditional metal braces with very few of the drawbacks. There are no real tradeoffs or catches here. You don’t have to worry about a longer treatment time with Invisalign® or even much higher expenses. In fact, most dental insurance plans will cover Invisalign® treatment to the same extent that they would treatment with conventional braces (we can help you to determine whether this is the case with your coverage). The only potential issue is that there are certain issues that are best corrected with conventional braces. No food restrictions: Because the aligners are removable, patients can eat whatever they like, including popcorn, nuts, and sticky, chewy, and hard foods. The aligners should be removed whenever patients eat, as well as when they drink anything other than water. Otherwise, as long as patients wear the aligners for at least 20 to 22 hours a day and are sure to brush and floss after every meal and snack, there are no food restrictions as there would be with conventional braces. Easy brushing and flossing: Oral hygiene can be difficult to maintain with conventional braces. Again, because the aligners are removable, this is not so with Invisalign®. Patients can brush, floss, and rinse their mouths as they normally would, and the aligners themselves can easily be cleaned with standard toothpaste. Extraordinary comfort: One of the biggest disadvantages of metal braces is that they are simply not comfortable. The metal can scrape against the inside of the mouth and the tongue, causing scrapes and cuts and making eating and speaking a painful chore. With Invisalign®, the smooth plastic aligners fit so comfortably in the mouth that some patients forget they’re even wearing them. And by the way, did we mention that Invisalign® aligners are made of clear plastic that most people won’t even notice when you smile and speak? If this all sounds good to you, then we encourage you to learn more by contacting our cosmetic dentistry practice today.